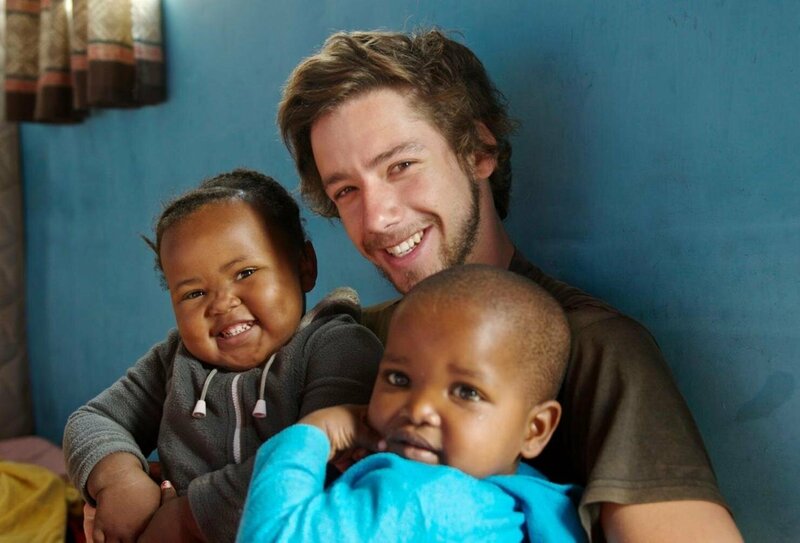 Volunteer with communities and settlements in Cape Town on this ultra-rewarding South African experience. Make a real difference to local children and the wider community, and meet like-minded volunteers at our amazing beachside accommodation at Table View near Cape Town. You can choose to work with kids in schools, crèches, or swim and surf clubs, or join a skills development placements with adults. You’ll also enjoy the lively Cape Town nightlife and beach life and even try kite surfing, plus you will gain something special to boost your CV! Enjoy the results of your work – there’s no greater feeling than watching children’s lives transform! 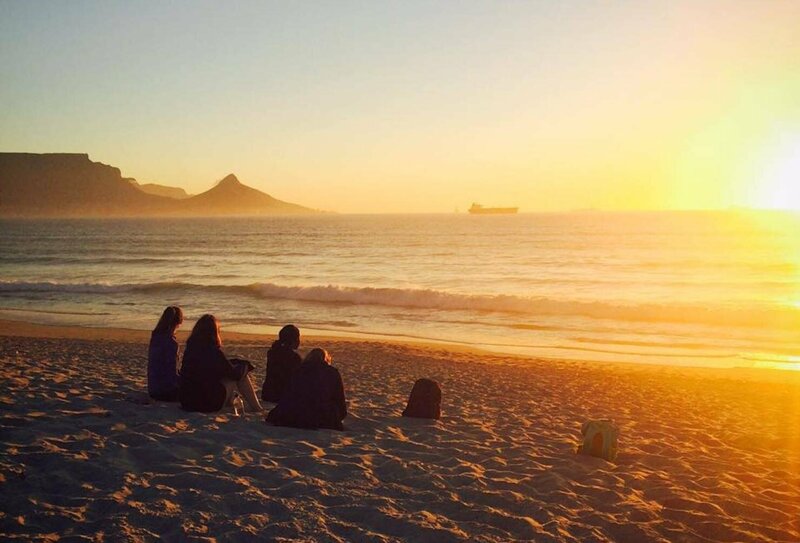 Explore Cape Town from your conveniently-located shared accommodation, have fun with a ready-made South African social scene and head to the local beach, famous for its kitesurfing; go surfing or just soak up the sun! Volunteer and make a difference in South Africa! Work with young people in local communities! 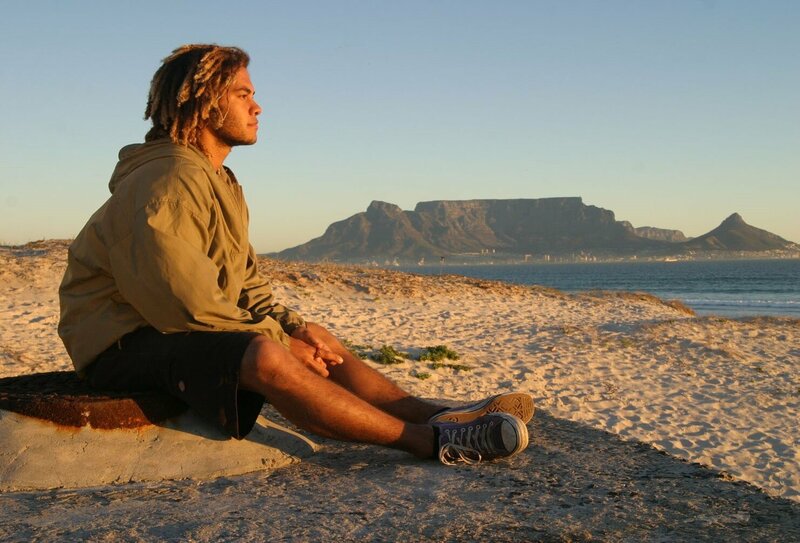 Run surf sessions in South Africa, and watch the students confidence grow! 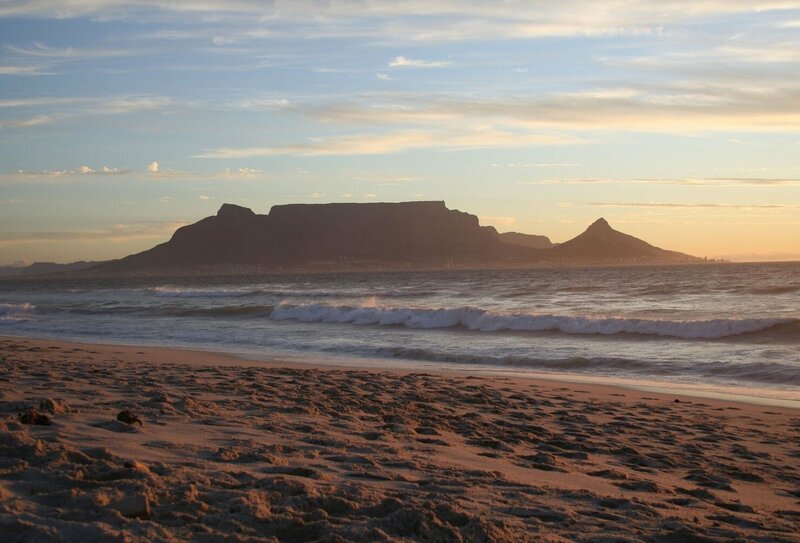 Learn to surf in sunny Cape Town! A donation to the project organisation is included in the total price, but you may give more if you wish. We can advise you on how best to do this. Make a real difference in the lives of local communities with our fantastic volunteer projects! As part of a team of volunteers, you will provide children from severely underprivileged backgrounds with new skills, create new opportunities for poorer communities, and brighten the futures of countless local people. International volunteers have already made a huge difference in these communities. In the last few years, volunteers have built and established 3 new preschools, taught computer skills to over 1200 children, taught 300 children how to swim, and started construction on a brick school for disabled children. Now it’s your turn! 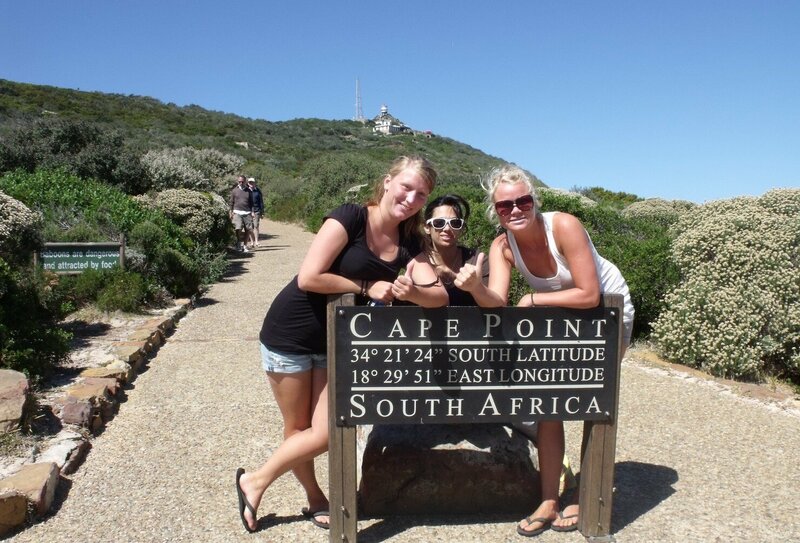 Join this Cape Town volunteering project and continue the good work! Cape Town is a stunning city on the coast of South Africa. Dominated by the dramatic flat-topped Table Mountain, this city is full of life, with friendly locals, gorgeous beaches and vibrant bars. The city has poorer areas too, and it is here that your volunteering will be so helpful, providing much needed assistance and opportunities for underprivileged communities. 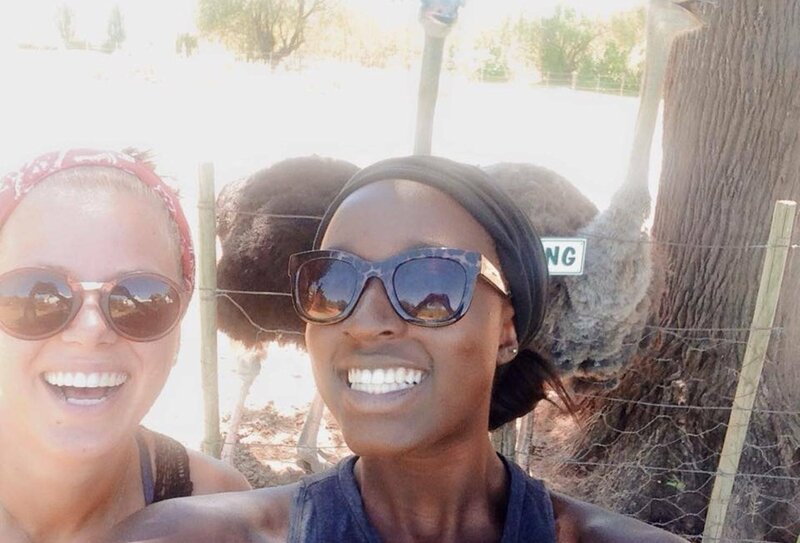 These volunteer projects are an incredible way to experience the two faces of South Africa while making a difference in people’s lives. 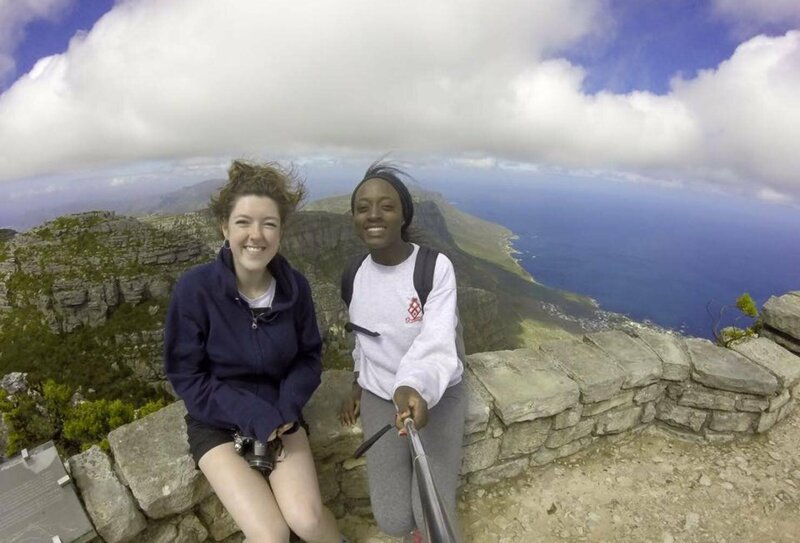 After a 2 day orientation in Cape Town you’ll get started with your volunteering. 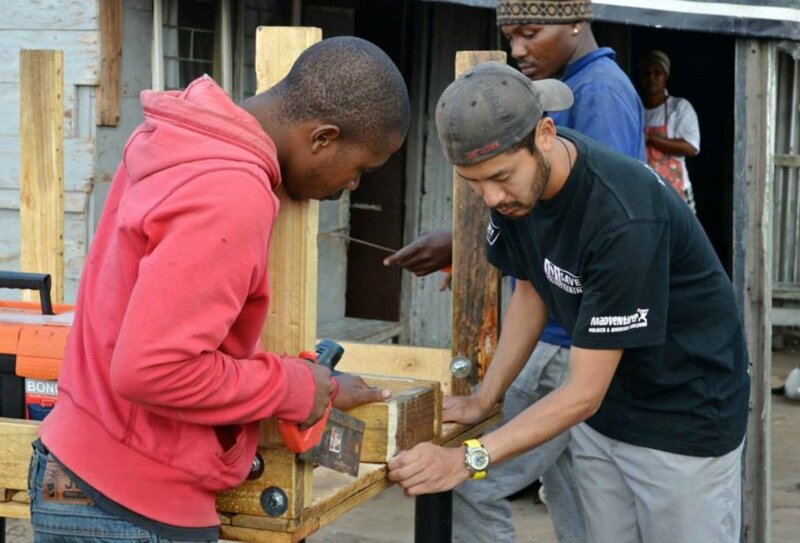 There are a range of fantastic community volunteer projects which you can take part in in Cape Town. Community settlements. Help with education at crèches and adult learning projects, plus assist with social events and empowerment projects. Get involved with building and improvement work, as well as educating the community about subsistence farming and vegetable gardens to help alleviate poverty. School/Crèche assistant. 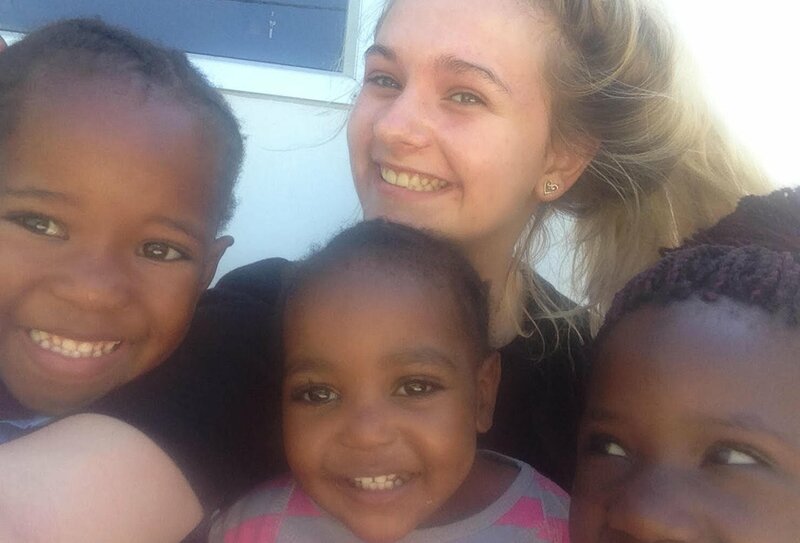 Volunteer in pre-school educare centres around Cape Town and work with kids aged 0 - 7. You will be assigned to a class and help the teacher with daily tasks such as marking and teaching. You will be able to run your own lessons and help children develop life and educational skills. Disabled school assistant. Assist with learning and care at an incredible township school for disabled children. The school is the only one of its kind in the local area and provides all-day care for children with disabilities in the community. You will help with teaching classes, mind stimulation, physiotherapy, speaking English to the younger children, and fundraising for the school. This is a challenging but deeply rewarding role. Adventure swim and surf club. Teach swimming and surfing to local kids at an after-school club. The main aim of this project is to keep children occupied and away from negative influences and local gangs. The club is an incentive for children to do well at school, and teaches them important skills such as teamwork - as well as just being great fun for them! You will also assist with computer lessons in the mornings before the club starts. Skills development projects. If you have specific skills to share, you can volunteer at a specialist skills development project. Skills can include life skills such as basic wound care and HIV awareness, sports development such as soccer and dance clinics, and business skills such as craftsmanship, woodwork and entrepreneurship. This will help out of work adults find new jobs and opportunities. Sport and youth development. Plan and deliver sport sessions to children at a local recreation centre, as well as assisting in morning classes. Teach kids new skills and promote teamwork and leadership. This aims to lower socio-economic problems such as delinquency, petty crime, and teenage pregnancy. You should choose one project to focus on, and most of your volunteering will then take place at this project for the duration of your stay, although you do have the flexibility to move projects if you wish. Let us know your project preference when you book so we can get the ball rolling on your volunteer experience. Please note alternative projects will be running during school holidays and over festive periods. Please download the trip notes or contact us for further information. Volunteer projects will adapt to the needs of the local community at the time of your visit. The following is an example of a typical 15 day itinerary. You will be welcomed at the airport by a coordinator who will transfer you to your volunteer house accommodation. You will have an introductory orientation session. The rest of the day is free for you to check out the shops, beach, bars and restaurants. In the evening you will be invited to a Braai (a traditional South African BBQ) at the hostel. After breakfast you will be taken on a walking tour where you will visit historical sites such as the Castle of Good Hope and the Grand Parade. You will visit the Parliament buildings and the District Six Museum where you will learn about life under apartheid South Africa. You will be taken to explore St Georges Mall and Greenmarket square where you can purchase African arts and crafts. At 2pm you can take a bus or walk to the Victoria & Alfred Waterfront. Here you can relax, eat some fresh fish, drink a cocktail or two and watch the ships come in and out of the harbour. You can explore this area and find shops, markets and musicians. From 4pm or after you can head back to the hostel and start planning your next day. In the evening you can join your fellow staff, tour guides and locals at a beach front restaurant a stones throw away from your hostel or head and to sample the local nightlife. Breakfast is from 7.45-8.15am on all volunteer days. Project volunteering from 8.30am-12/12.30pm. Afternoon – Volunteer meeting to discuss planning, problems and challenges, help with donations, lesson planning, training on how to teach and plan activities with kids, tips on behaviour management and age-appropriate lessons. Breakfast 7.45-8.15am. You will take part in your volunteer programme at morning sessions, running from 8.30am-12/12.30pm. Lunch is between 12-2/3pm on all volunteer days, and afternoon volunteer sessions run from 2-4.30 for settlement or teaching projects and 3-4.30pm for the swim/surf project. During the evenings you will set aside some time for project or lesson planning. A flexible day where you can help with handing out donations to local settlements, do training or planning sessions or get involved in fundraising activities in the local area. You will also have some free time to yourself. Your second volunteer week will follow the same schedule as the previous week. Another donation or fundraising Friday. You will say your goodbyes and depart from your hostel after breakfast. Make your South Africa travels even more memorable by adding an awesome five-day safari adventure to your trip. This add-on includes four nights’ accommodation where you’ll spend two nights in a Johannesburg hostel with its own pool and bar area, a night in an on-site chalet at Kruger game reserve, and one night camping in the bush on an immersive safari experience. Our Kruger Safari Experience is a one-of-a-kind package that’ll see you staying within the grounds of South Africa’s most famous game reserve, where you might just glimpse a view of the ‘big five’. Please speak with a travel advisor for more details. Start dates can be flexible, please contact us for details. Please note, volunteer projects close during school holidays (for dates, download our trip notes). If you volunteer during school holidays, you will get involved with running holiday activities. Arriving on a Saturday, you will need to arrange your flights into Cape Town International (CPT) at any time, where you will be met and transferred to your volunteer accommodation, about 25 minutes-drive from the airport. A transfer back to the airport at the end of your programme is not included but easily booked with the local team in country. All volunteers will stay in our volunteer house (although in busy periods, it is possible some volunteers may stay in a local four star hostel - they are only around the corner from each other). The accommodation is located only a 5-10 minute walk from a beautiful beach, and is in a safe, residential area close to shopping centres, restaurants and great local bars. The volunteer house is located only a 15-20 minute walk from the bus terminal, where you can hop on a 20-25 minute bus ride into the centre of Cape Town. The volunteer house is made up of four separate buildings in a compound, with a swimming pool and communal outdoor and indoor eating areas. In each section of the volunteer house you’ll find a communal lounge and kitchen facilities, and 2-3 bedrooms per building, with 3-4 people sharing each room, so you're sure to make some new South African friends fairly quickly! A Jacuzzi – the ideal place to relax those muscles after an adventurous day. Lounge & TV room – includes a flat screen TV with satellite access. Laundry – A washing machine & tumble drier are available for a small fee. Alternatively the staff can do it for you! Communal kitchen – stacked with all the equipment you’ll need to create a delicious masterpiece. Complementary tea & coffee is available. Zen garden - where you can chill out and relax under the palm trees next to the pond. Bonfire area – a great place to make new friends, swap travel stories and cook your food the traditional South African way – on the braai! Both the hostel and the volunteer house are just a five minute walk from the beach, a shopping centre, restaurants, bars and pubs. The hostel and the volunteer house are only accessible by a code pad entry system, for security. You'll enjoy three included meals a day throughout your South African stay. Breakfast is served at 7.45am and is a continental style breakfast of toast, fruit and eggs, and sometimes treats such as pancakes. Every morning you will be asked to fill out a lunch request form, choosing from a selection of hot or cold sandwiches, or salads, and your order will be waiting for you when you return from your volunteer project for lunch. Evening meals include hearty dishes such as chicken stir fry or pork chops. Tea, coffee and tap water are provided but other drinks are at your own cost. During the week, your meals are served at the volunteer house and cooked by an on-site cook, and will be served in outdoor or indoor communal areas. 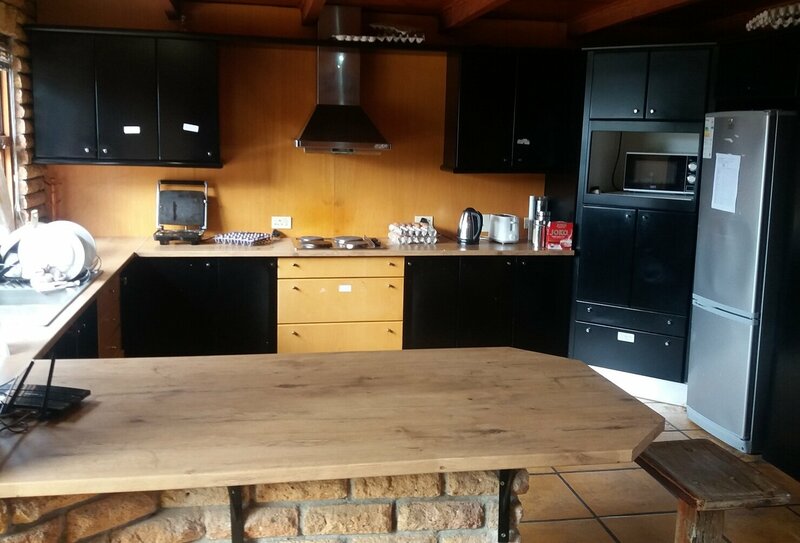 At the weekends, meals will be served at the hostel. 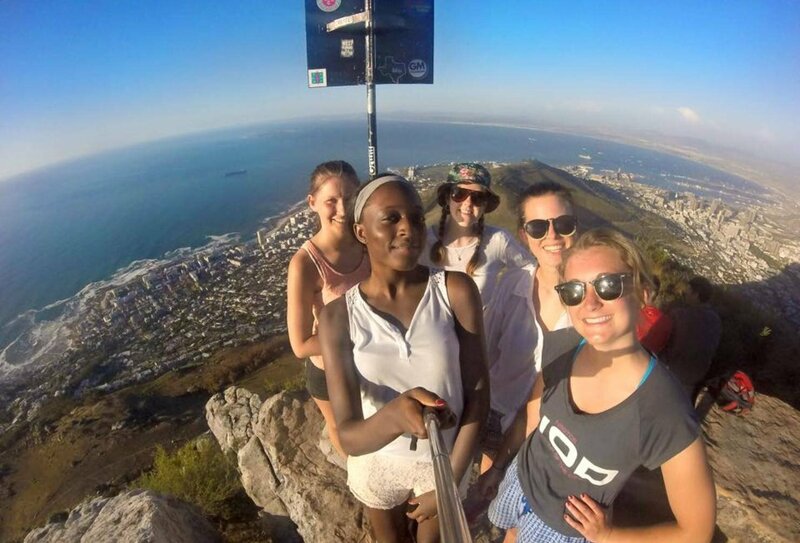 Should you wish to stay longer in Cape Town after your volunteer work has finished, we will be happy to help you find further accommodation, or lengthen your stay at the hostel. The minimum required age to participate is 18. When you book, let us know which project you are most interested in and we will match you up with this project (as long as your skills suit). When you book this trip our partner organisation asks that you provide us with a copy of your CV but don’t worry - this isn’t for anything too serious, they just want to look at your skills, experience and interests in order to match you up with the exact right placement! On this particular programme, as you’ll be working with children, you’ll need to undergo an enhanced DBS previously known as CRB, or Criminal Record Bureau check and will need to have a clean criminal record. DBS checks may list past convictions, cautions, reprimands, warnings, and if applicable will show whether or not you have been barred from working with certain vulnerable groups. Non-conviction information such as fixed penalties may also be included. 1. Once we receive your booking payment, you will then be sent an online application link for the DBS check, which you will need to complete. 2. Once you have completed the application, the DBS (Disclosure and Barring Service) will need verification of your identity - to do this you will need to take 3 original documents to your nearest crown post office and use their DBS and ID verification service. This costs approximately £5 and is payable directly to the Post Office. 3. Once the post office verification is done it usually takes up to 2 weeks for your DBS to be processed, and your DBS will be sent to you directly in the post.